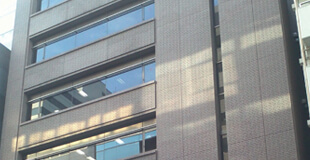 Established in 2013, FIME Japan is located in Tokyo, Japan. As a near field communication (NFC) mobile and terminal test centre, it supports the growing demand for EMV testing of NFC-enabled mobile devices in Japan. It works with mobile device manufacturers, network operators and terminal manufacturers to provide integrated testing and certification services to the payments ecosystem in the Japan. FIME Japan specialises in EMV and NFC testing services to ensure that the required standards and specifications are met and interoperability is achieved throughout the global payments market. With over 10 years experience providing technical expertise to the global smart card industry, FIME is well equipped to offer consultancy, integration and test services to the local market. Clients are able to purchase test tools for independent usage, with or without consultancy services. For more information, please contact us directly on the details highlighted above. The international airports are Narita (NRT) and Haneda (HND).